Today is the 20th Anniversary of AVTES. 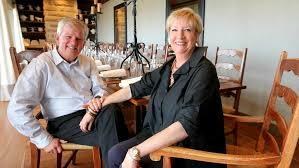 On 12 December 1997 Chris and Louise Fitzgibbon registered the company Australian Vocational Training and Employment Services. It’s been a long journey. And while they are very modest and would never make a big deal about it, I think this achievement should be celebrated and congratulated. Since I’ll probably never get to say this out loud, I thought I’d at least write down how grateful I am for them and for my job at AVTES and share it with you. If you want to do things your own way you better be prepared to work hard. But you’ll enjoy it more. Doing something different means there will always be those that don’t get it, don’t take it personally. You know more than you think. In fact you are probably the expert. So don’t always take the advice you’re given (just choose the bits you like). Business is a roller coaster and sometimes you want to get off, but if you stay on, things will go up again… eventually. Integrity is important. Your decisions are yours to carry with you so make them according to your values. You have to use the best ingredients. Using quality ingredients always ends up with a better finished product. Whether its dishes or business. If you follow the recipe you’ll get a consistently good result. Systems matter. Make them great and keep improving them always. Sometimes you don’t need a recipe. Be prepared to make things up as you go along. Be creative and innovative. Feed others first. Whether it’s feeding guests, or paying your bills. Take your cut last. If you are with the right people, it doesn’t matter if the food, service or venue is crappy. Surround yourself with people you like and nurture those relationships. Sharing a meal is a magical things. It brings you closer together. Share as many meals with as many of your favorite people as possible. Be generous. With your time, wisdom and wealth. Sometimes the simplest things are the best. Measure your success by the small pleasures you experience. Remember how lucky you are every day. I know how difficult and rewarding building AVTES has been. All the weekends and late nights, the worries and the sacrifices. The excitement and the arguments. The hard times and the fun times. The wins and the losses. And that you wouldn’t have it any other way. You do things on your own terms and own your decisions. You should be proud of the business you’ve built and the reputation you’ve earned for excellence, integrity and generosity. I am. You’ve taught me more than I could ever have hoped for (worth way more than a Masters Degree!) I love my job and I love working with my family. The good far outweighs the bad. I am also grateful for your support in my continued education, the freedom I get to pursue work projects, the input you welcome from me, and your counsel and mentorship. Get Our Guide For The 5 Most Important Questions You Should Ask A Training Provider. Want Training Tips and Opportunities Delivered Straight To Your Inbox?